Dubai: Some severe cases of device addiction show similar characteristics that of autism, Analysts observed. Although young children today are smart and tech-savvy, their interactive ability is impaired compared to their predecessor generations, according to child health experts and therapists. 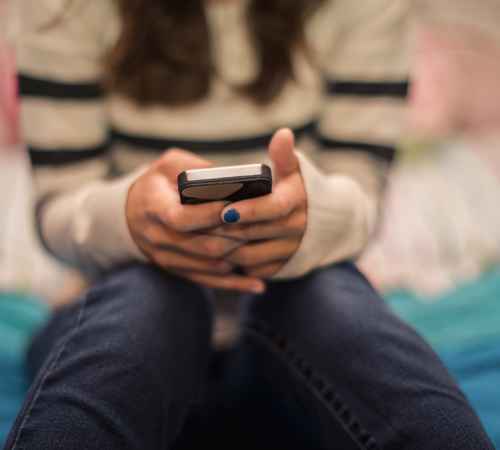 Device addiction is considered to be the primary reason for this phenomenon, and analysts have gone to the extent of saying that some severe cases of device addiction show similar characteristics of autism. “The three main markers, or early signs, of autism are anti-social behaviour, lack of eye contact, and aloof behaviour. Children suffering from device addiction show the same symptoms,” said Sarah Ilyas, nursing manager at the Aster Hospital in Al Qusais. Furthermore, hospital authorities have suggested that device addiction in children as young as two to three can result in delayed milestones or developmental delays. “Children feel more comfortable in the world of YouTube videos cartoon shows. They find it harder to reach developmental milestones like being able to club words together or fluent speech. My son showed these symptoms till we stopped giving him a device,” said Bruno D’Souza, the COO of the hospital. Ilyas and D’Souza spoke to Khaleej Times at the sidelines of ‘Digital Detox Weekend’, where a total of 48 children spent the entire Saturday morning to afternoon (9.30am to 6pm) at the newly-built hospital. The event was organised by the International Association of Human Values (IAHV) and Art of Living (AOL), a non-profit organisation. Children were asked to surrender their devices and spend an entire day communicating with their peers and learning more about themselves. The evening sessions were organised for the benefit of the parents. The children were from eight to 18-years of age. The students played games, performed yoga and meditation, performed group exercises such as ‘creating their own game’, and performed several other activities. The free event received up to 100 registrations. However, only 48 were selected to attend. This community outreach event will be the first of many to be organised in the hospital premises. A research showed that the UAE was the top region for smartphone penetration in 2017, with an 80.6 percent penetration rate, and a total of 7.5 million people with smartphones.